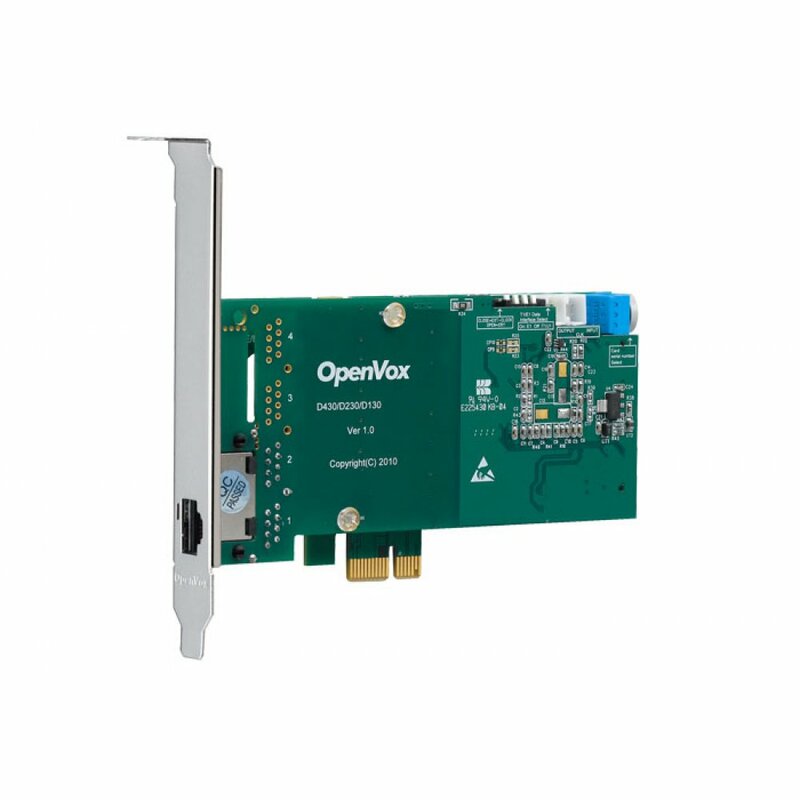 OpenVox DE130E is now the leading single port T1/E1/J1 PCI-E card in the open source industry. It takes full advantage of Octasic® Hardware Echo Cancellation Module to deliver the superior voice quality over T1, E1, and J1 interface. The DE130E is an upgrade product of the DE115E. 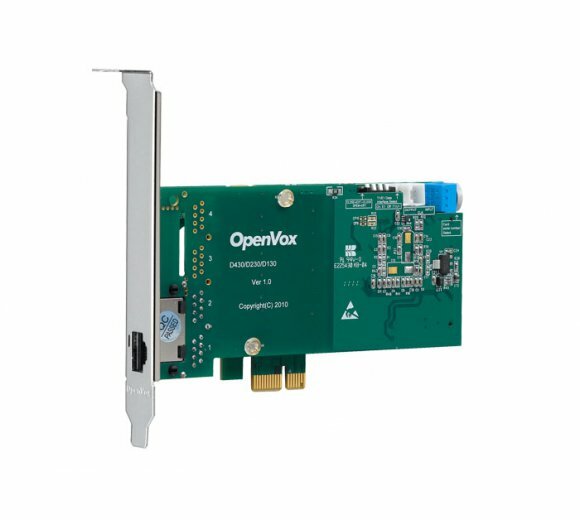 It’s supposed to be the most advanced single port T1/E1/J1 asterisk® card with superior quality in the open source community. The leading innovation ensures users to adjust the interrupts frequency to reduce the CPU load up to 70% and adjust the interrupt number to avoid interrupt number sharing or conflict. DE130E offers an on-board Octasic® DSP-based echo cancellation module. It supports T1, E1, and J1 environments and is selectable on a per-card or per-port basis. The Octasic® DSP-based EC module enables users to eliminate echo tails up to 128ms or 1024 taps across all 32 channels in E1 mode or 24 channels in T1/J1 modes. Further, this module takes advantage of the Octasic® Voice Quality Enhancement to provide superior sound quality on all calls. DE130E supports industry standard telephony and data protocols, including Primary Rate ISDN (both N. American and Standard Euro) protocol families for voice, PPP, Cisco, HDLC, and Frame Relay data modes. Both line-side and trunk-side interfaces are supported. DE130E works with Asterisk®, Askozia®, Elastix®, FreeSWITCH™, PBX in a Flash, trixbox®, Yate™ and IPPBX/IVR projects as well as other Open Source and proprietary PBX, Switch, IVR, and VoIP gateway applications.